Just started watching Dark Shadows streaming on Netflix. Filled with Gothic mystery and supernatural intrigue, the daytime series "Dark Shadows" became wildly popular after its 1966 premiere on ABC and has earned a reputation as one of the most unusual and enduring programs in TV history. 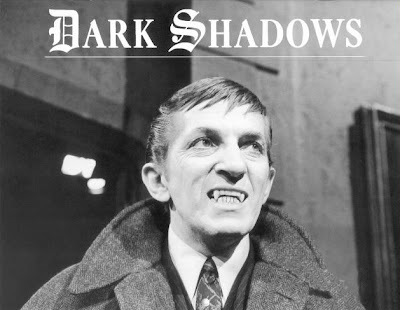 The show revolves around Barnabas Collins (Jonathan Frid), a guilt-ridden 175-year-old vampire who longs to be human again and returns to his estate after being chained inside a coffin for nearly 200 years. I read a long time ago that Johnny Depp's production company had bought the rights to it and I believe he and Tim Burton have already begun work on it. I was reminded to check it out after reading that Lukas Haas' character's outfits in the film Brick (also good and streaming) were based on those of Barnabas Collins. I also saw that it was on TV Guide's (my favorite magazine!) list of top cult TV shows.